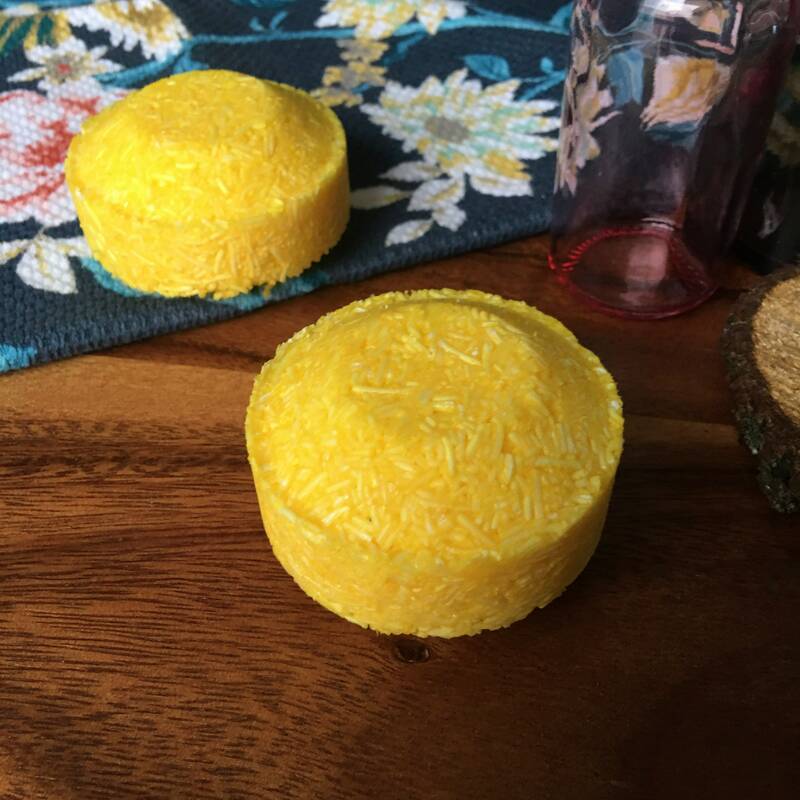 This 3.25 oz shampoo bar will last up to 80 washes if kept dry in between uses. 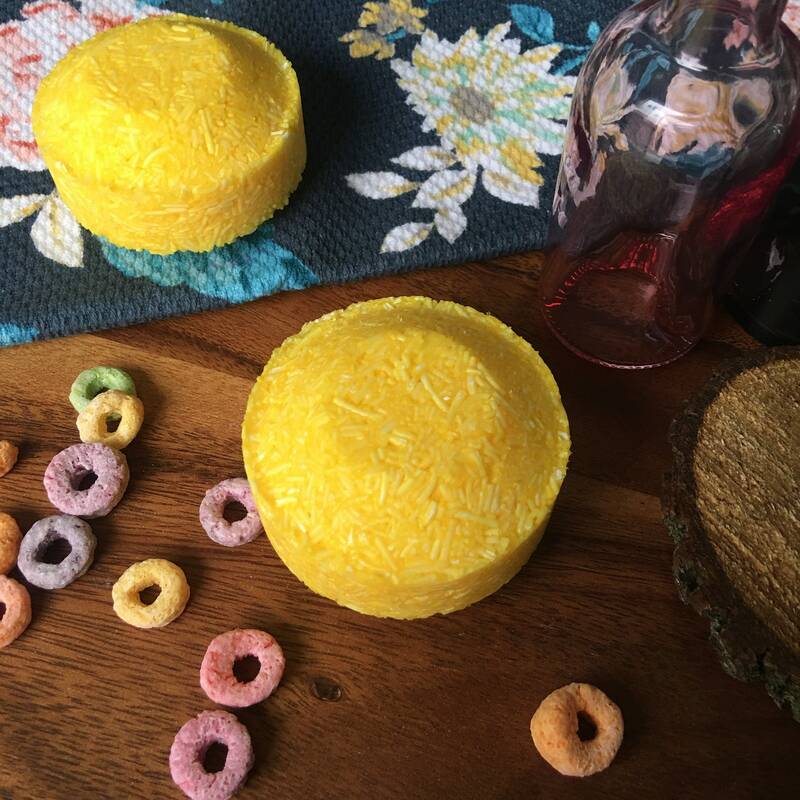 Smells just like fruit loops - Citrus and fruit with a hint of vanilla cake. Scintillating jasmine combine with clary sage and ylang in this Royal exotic journey. Country Market Crafts - Solid Shampoo contains Sodium Coco sulfate is natural, solid, highly anionic surfactant in needle form. Unlike SLS (Sodium Lauryl Sulfate), Sodium Coco sulfate is made without removing all of the higher molecular weight fatty acids that are integral to coconut oil which creates a denser foam. Directions: Pass along wet hair 2-4 times depending on length and thickness. Set bar aside to dry area, lather and rinse thoroughly. The scent is so amazing and clings to the hair for hours. I find these shampoo bars lather up insanely... it’s so easy to soap up my matted massive fro of curls, which is normally not easy. Smells just like fruit loops and lasts a long time! !